My husband and I love to travel especially to tropical destinations. We love the beach, warm waters and the atmosphere that surrounds coastal communities. We are already thinking about our vacations for the year 2012 and would like to visit a few places that we have never been to before. My husband was online last night and stumbled across a few Croatia Yacht Charter tour opportunities and we are highly considering one of those. We have never been to Croatia and from everything we read about the country and the area it looks like it would be a beautiful fun place to visit. 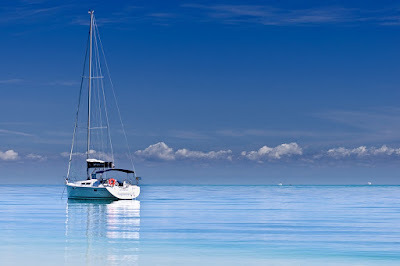 What I like about these type of Yacht Charters is that they can handle all of our arrangements like airfare, hotel accommodations, meals, activities, travel car arrangements and of course helping us to select the right yacht for our needs. I have always wanted to do some sight-seeing on a private yacht and this seems like the way we should go. We also learned that with these type of tours we can really get into doing some island hopping and most of them will island hop so that you can see all kinds of beautiful places that you have never seen before. We aren't much into fishing but we do like to be out on the open water and perhaps we could take in some scuba diving near the coastline as we would love to see some tropical fish and a few coral reefs in their natural habitats. Like I said...we have never visited Croatia before but we are highly considering it for one of our 2012 vacation destinations. Have any of you been to Croatia before and if so, do you have any tips or ideas to share with us?